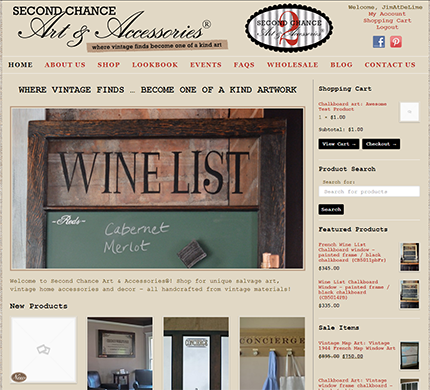 Second Chance Art wanted a new fully custom ecommerce site for displaying their custom art, decorations and furniture and selling their products. They wanted to get away from the hard to manage site they had previously. We choose WordPress with the StudioPress Genesis framework and fully responsive child theme, using the WooCommerce ecommerce platform.